I’m finally over my innovation hangover. Yes, there really is such a thing. At the end of June, I had the pleasure of attending the ideacity conference at Koerner Hall. Writing about this conference always takes me longer than usual because there’s just so much to digest. I leave feeling inspired, enriched and in awe of those I met. The word “conference” doesn’t do it proper justice. It’s really a total three-full-day intellectual experience. The phenomenal presenters—comprised of adventurers, entrepreneurs, artists, entertainers, inventors, authors and agitators—covered a wide range of topics and literally tapped into every emotion, leaving me in awe. For the 15th year, Toronto media mogul Moses Znaimer curated thought-provoking dialogue and created an engaging experience for all who were involved. The presenters and alumni from previous years also took part in the three days, making themselves available to chat at the networking breaks and the amazing after-parties. 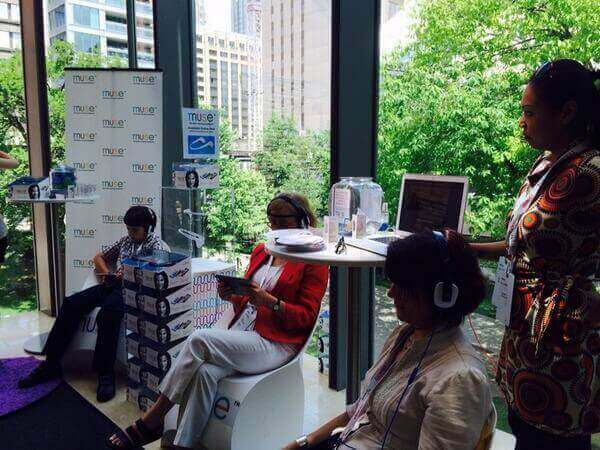 Similar to the TED conference structure, ideacity featured various “pods,” covering subjects such as health innovations, proposed projects, space research, human feats and, of course, technology. 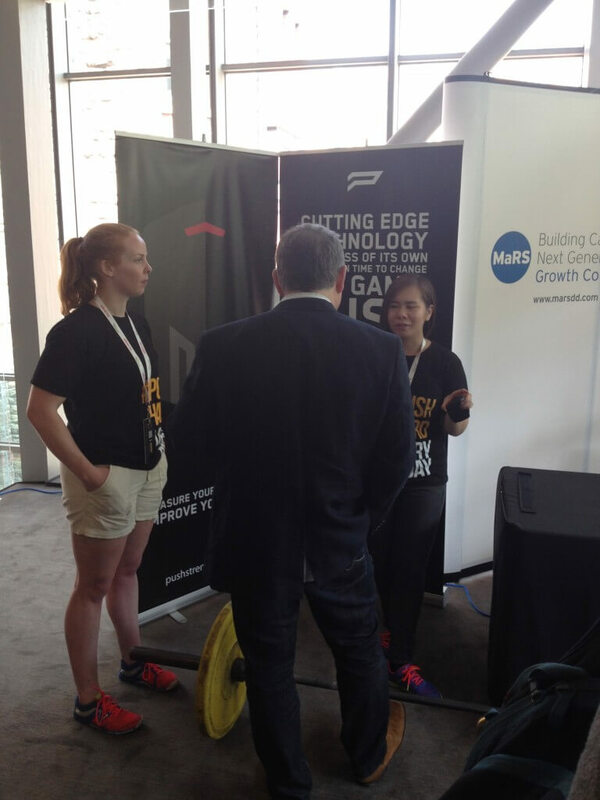 For the second year, MaRS was fortunate enough to have a dedicated booth at ideacity. This gave us the opportunity to connect directly with the incredible ideacity community, including influencers, media, the conference’s speakers and attendees who just wanted to learn more. Each day, one of our information and communication technology ventures shared the space with us, earning plenty of attention with their innovations and hardware technology. 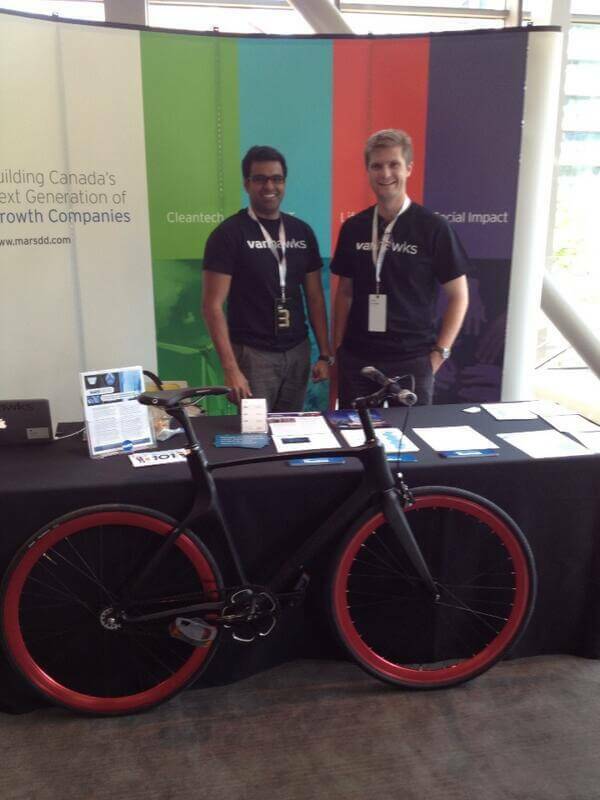 PUSH, Vanhawks and Bionym were on hand to demo and share their hard work. 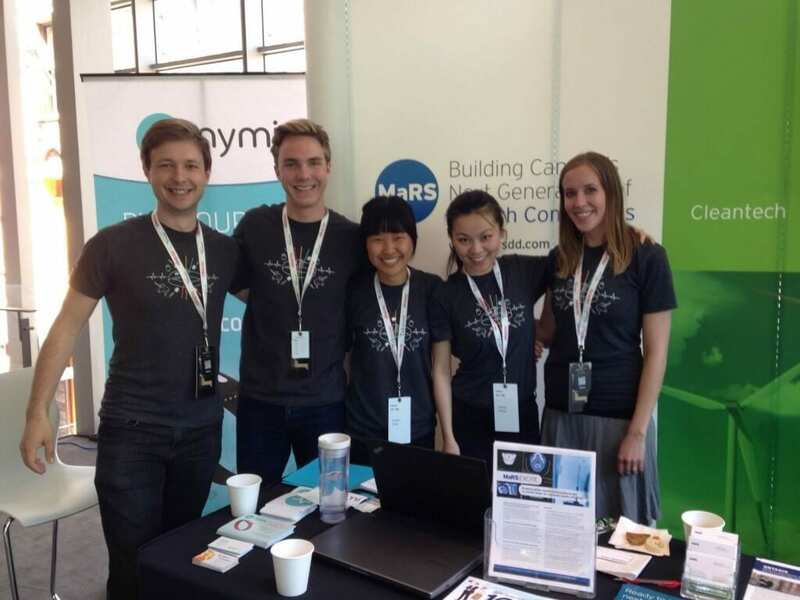 InteraXon, who participated at the MaRS table last year, was given the opportunity to have not one but three demo booths at this year’s conference. 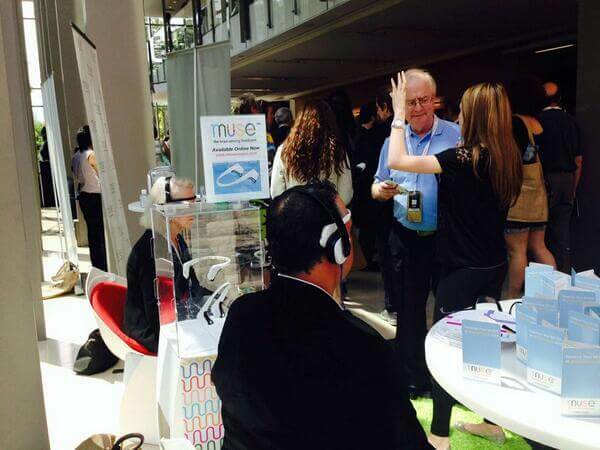 The InteraXon team was very busy showcasing the Muse headband at each day’s networking breaks to the conference’s 800 attendees. Additionally, InteraXon’s CEO, the phenomenal Ariel Garten, was invited to speak on stage about thought-controlled computing and how Muse came to be what it is today. This was a life goal of Ariel’s and she did a phenomenal job. Watch Ariel’s talk here. To celebrate ideacity’s 15th anniversary, a free webcast was offered so that participants around the globe could tune in and catch the amazing presentations as they were happening. Between the sessions, the conference co-hosts sat down with the speakers for more in-depth interviews. 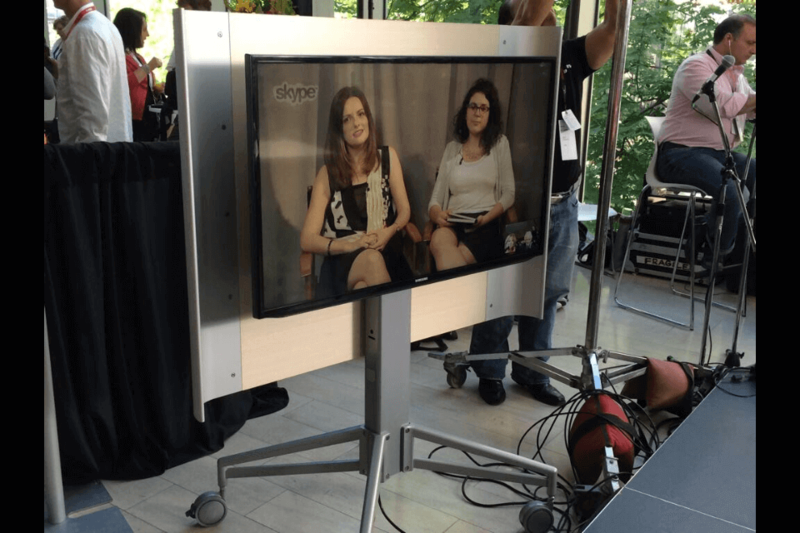 On Day 2, MaRS was given the opportunity to appear on the webcast via Skype, broadcasting to a global audience. Amy Weinrieb, MaRS’ social innovation associate, and I led the session, spreading the word about MaRS and talking about which ideacity sessions we liked best thus far. Rather than take my word for it, I encourage you to watch the talks for yourself! But here are some of my personal picks. There’s no argument that healthcare needs to move to a more customized model, considering each of our bodies is completely different and unique. This talk completely blew my mind and left me hopeful for a better healthcare industry. Watch Andrew Hessel’s talk here. Acclaimed photographer Edward Burtynsky shared samples of his work and stories of landscapes and human-created structures like the Three Gorges Dam in China. Watch his talk here. Bryce Rutter is a thought-leader in design. He created the Microsoft 2.0 mouse (the most recognized mouse ever built), the Oral-B toothbrush and the Gatorade Edge bottle. Watch Bruce’s talk here. Laura Dekker’s energy and joie de vivre was phenomenal to experience, and I absolutely loved hearing her tell her story. It shows that anything is possible if you are truly dedicated to achieving it. Watch her talk here. I got teary-eyed learning about the mind-blowing communication skills and spiritual presence of elephants. This is one spiritual connection that you really need to see to believe. I cannot wait to read this bestselling book this summer. Watch Francoise Malby-Anthony’s talk here. If you’re interested in watching more videos, check them out on the ideacity conference website. Needless to say, I can’t wait for next year!